← La nova gramàtica normativa, tot un repte! 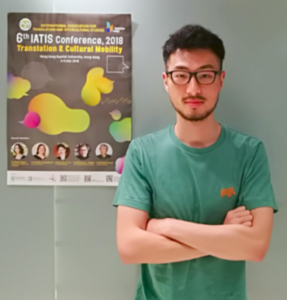 At the recent IATIS conference in Hong Kong, I had the opportunity to interview Nigel Huang Boyi, an MPhil student on the Translation Programme at Hong Kong Baptist University, who presented his comparative study on industry subtitles and Fansubs for The Big Bang Theory. Since we had met previously at the Trafilm Conference in Barcelona, where he presented other aspects of his research, I thought his knowledge of fansubbing in China would be of interest to the readers of Tradiling. Read a summary of our interview below. 1. How popular is fansubbing in China? How many subtitlers and consumers are there? Fansubbing is fairly popular, at least in mainland China. I would say that many people know this kind of subtitling. And I myself grew up using it because there is no equivalent output from the industry – no importation, no localisation, nothing. As far as I know, there is no data on the number of fansubbers and consumers in China. 2. Who makes fansubs in China? Are fansubbers organised in groups? The precise identity of fansubbers in China is not known. But what is certain is the variety of members of fansub groups. They usually come from various backgrounds. Simply labelling them as amateurs can be problematic because I have seen professional subtitlers in fansub groups. Ages vary. There are women and men. Interests vary. Agendas vary. Fansubbing in China is usually an organised activity. But organisation and engagement with digital media varies greatly. In small fansubbing communities, the division of tasks is more informal, whereas in larger communities, the division of labour is more organised and requires fansubber commitment from the beginning to the end of a series. 3. What are the most usual language combinations? Is there any fansubbing in Cantonese? The most usual language combination would be English and Chinese (Mandarin). Apart from that, it is also very common to see Japanese and Chinese, Korean and Chinese. As far as I know, there are no prominent Cantonese fansubbers or fansub groups. I know there are Cantonese shows that are fansubbed in English or other languages inside and outside China. I also know that there are Cantonese speakers in fansub groups in China who make Mandarin subtitles. 4. What are the most common fansubbing genres? Are there any programmes of special interest to Catalan and Spanish readers of this interview? In the 2000s, the most popular fansubbing genre would be anime (mostly Japanese) and comedy (mostly from the USA). But nowadays people fansub everything: comedies, TV series, web series, films of all kinds, documentaries, news broadcasts, music videos, YouTube videos, vlogs, etc. And yes, there are many Spanish and Catalan TV series that are being fansubbed. Merlí is quite popular among Chinese audiences. Also Física o Química, La Casa de Papel, Águila Roja, El Ministerio del Tiempo, etc. And I have seen fansubbed films such as 80 Egunean, Contratiempo, Verónica, Decorado, etc. 5. What are the greatest differences between fansubbing and industry subtitling? Fansubbing and industry subtitling are very different. My own research is based on descriptive comparisons between the two. There are three main differences. First of all, they are organised differently. Industrial subtitling is commissioned, while fansubbing is a voluntary initiative. The former is top-down, while the latter is bottom-up. Secondly, the output is very different, in terms of ideology, linguistic features, approaches, technical settings, etc. Last but not least, they are also different in terms of social settings. Industry subtitling is controlled through the specifications of the commission, whereas fansubbing takes place in a freer social context. 6. Do you think fansubbing practices will change general subtitling practices? In a way, yes, I think, as both are aware of their mutual existence. Many scholars have argued that they learn from each other, in a cross-fertilisation process. There are commercial platforms that make use of fansubbing, such as Viki. Tessa Dwyer has done inspiring research on fansubbing at Viki. For subjects like this, there is no better way to find answers than by directly contacting practitioners, whether fansubbers or industry subtitlers. It’s hard to reach a view just by looking at their subtitles. Eva Espasa, Ph.D. in English Philology (University of Barcelona), is a Senior Lecturer at the Universitat de Vic (Catalonia/Spain), where she teaches audio-visual translation, translation for advertising, and scientific and technical translation at undergraduate and postgraduate levels. 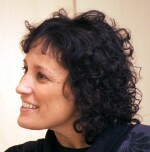 Her main research interests are audiovisual translation, stage translation, translation training and gender studies. This entry was posted in Profession, Translation and tagged Chinese. Bookmark the permalink.